Previously she was Research Fellow at the School of Human Movement and Nutrition Sciences and Affiliate Research Fellow at the Queensland Brain Institute at The University of Queensland. Her doctoral research investigated the exercise implications of oral contraceptive use in physically active women. Her studies were underpinned by strong focusses on exercise physiology, endocrinology, exercise training adaptation and controlled study designs and have resulted in several high-qualtiy publications. Her postdoctoral research investigates the mechanisms and potential biomarkers underpinning the benefits of exercise for cognitive function in populations experiencing, or at risk of, cognitive decline. By combining measures of physiological and functional fitness, cognitive function, blood biochemistry, epigenetics, and multimodal magnetic resonance imaging of the brain she investigates exercise-related neurophysiological changes that are invaluable in guiding our understanding how to improve health and slow, prevent or reverse cognitive disease progression. 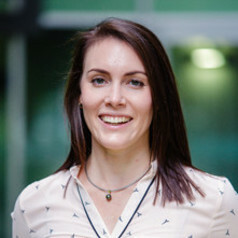 Mia’s research interests include exercise endocrinology, hormonal responses to exercise training, menstrual cycle physiology, menstrual dysfunction, female athlete health, bone health and nutrition along with healthy active ageing and neurodegenerative diseases.